Longlife are the UK’s leading supplier of stainless steel exhausts. At Longlife, we have over 30 years of experience in exhaust design and manufacture, so whatever your requirements, you can be assured that we have the necessary expertise to provide a solution. Whether you have purchased a classic car, a performance car, or simply want to upgrade to a high quality fitting for your everyday car, a stainless steel exhaust is a stylish, performance enhancing addition to any vehicle. We manufacture all of our exhausts from 304 grade stainless steel which, once fitted should give you a lifetime's trouble free use. Longlife operates a network of franchised dealers around the country. This allows us to make sure that standards of workmanship and customer service are consistently high. To check where your nearest Longlife dealer location is, click here. Our highly trained dealers will fabricate a custom-built exhaust system to complement your car, matching the solution to your requirements. Owners of foreign import vehicles can sometimes find it hard to get exhaust replacements in the UK. At Longlife our specialist teams can design and build an exhaust from scratch for your car, whatever the model. We have so much confidence in our Longlife exhaust products that we provide an industry leading lifetime warranty on all our exhaust systems. This is designed to give our customers complete peace of mind. In the unlikely event that a problem arises, simply make an appointment to take the car to your Longlife dealer who will carry out any remedial work required, free of charge. The warranty is valid for as long as you own the vehicle. Our exhaust systems are manufactured from 304 grade stainless steel. 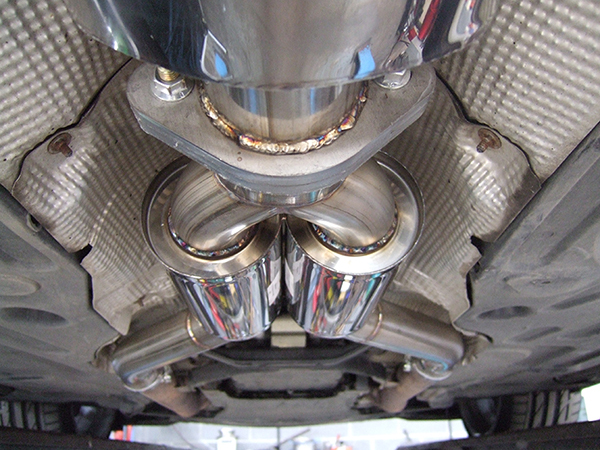 A high grade stainless steel exhaust has a far longer lifespan than a standard exhaust. Having a stainless steel exhaust fitted is a sound investment as it can offer you cost savings over time in several ways. 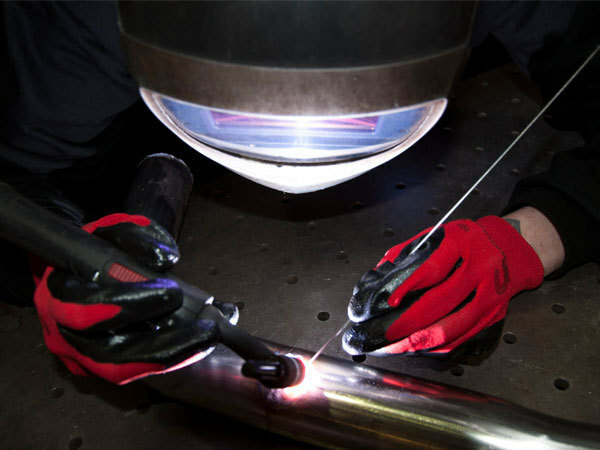 All Longlife silencers are made in our own production facility and this enables us to retain full control of the manufacturing process and ensures that our rigorous quality standards are adhered to. We are committed to delivering the best quality exhaust systems, so all Longlife components are made from 304 grade stainless steel, rather than inferior 409 grade stainless which some manufacturers use. It's essential that your exhaust is made and fitted by an expert so we ensure that all Longlife dealers have a fitter who has been trained and signed off by us. We have an extensive network of approved franchised dealers at locations across the UK, so wherever you like, you're sure to find a Longlife centre in your region. Our expert teams have experience of making and fitting exhaust systems on a vast range of vehicle and are always keen to take on the challenge of finding the best solutions for our customers. Our stainless steel exhausts are custom build on your vehicle, wo whatever make or model of car you have, a Longlife exhaust will always fit perfectly. When you visit a Longlife dealer, your requirements will be discussed and recorded on a job card which you approve before any work begins. The dealer will then ensure that your new stainless steel exhaust is fitted to meet the exact requirements for you and your car. On completion of the job, a 12 point check will be completed by another member of staff to ensure that the exhaust has been built to spec and you will be provided with a detailed invoice, listing all the work carried out on your vehicle. 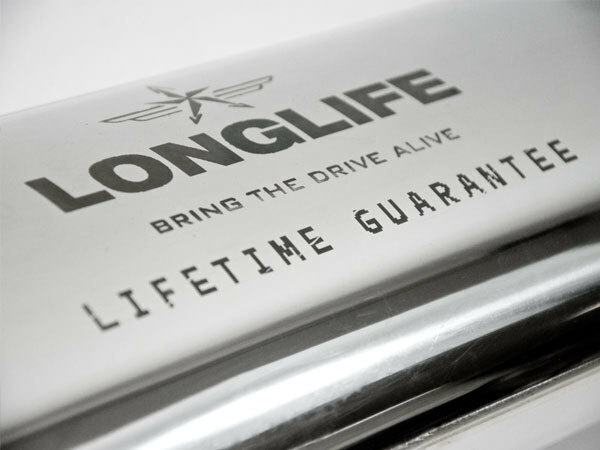 Each Longlife custom built exhaust comes with an industry leading lifetime guarantee. In the unlikely event you have a problem with your exhaust, simply phone the fitting centre to make and appointment and they will book you in for rectification work. You will need to produce your original warranty paperwork when you visit the centre so be sure to store it safely. Longlife’s stainless steel exhaust replacements, despite being made using the finest T304 stainless steel, often cost less than mild steel standard replacements.